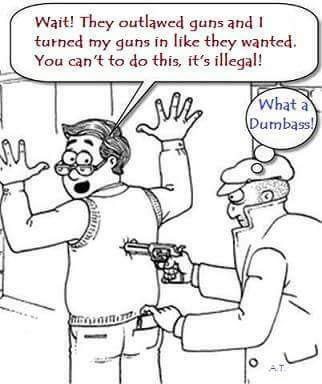 Gun Control – No Way! To all the teens that walked out of school in favor of taking down the Second Amendment and taking away everyone’ guns. . . These are the shoes of Jews that were forced to give up their firearms to Hitler. They were marched into gas chambers, murdered and buried in mass graves . Today’s world is based on learned lessons but if you don’t study even the basics of history, you will repeat history and things won’t turn out the way you view your idea of a perfect world. 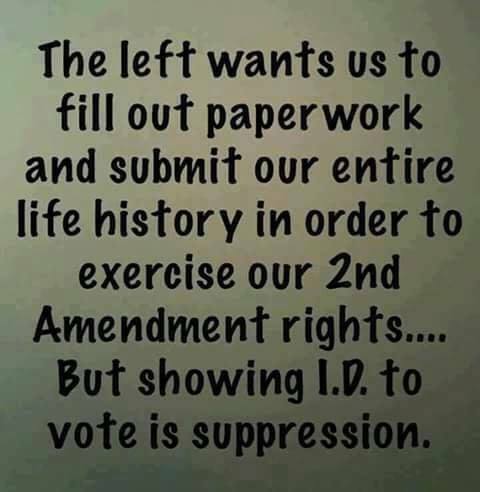 Pick up a history book and you’ll realize what happens when you give up freedoms and why we have them. Only one, trained person was needed to control this gun and save lives. People Shoot People – The Gun Can’t Do It Alone . . .
Liberal Clarity . . . Some mentalities are just . . . mental! Does anyone look past the formation of sentences used in their explanations to see if they actually make sense? Anything To Push an Agenda . . .
Let’s review the events of last week. Tragically, a school shooting took place, something that should never happen in a civilized world. If only there had been some warning . . . Wait! The police had visited the home of shooter something like 39 times. Evidently, this did not raise a serious red flag for them. The FBI was notified but they were probably busy hunting down the nonexistent Russian collusion matter. The shooter had been posting disturbing items on his Facebook. Still no real attention to a possibly explosive problem. Then, destroying the memory of Valentine’s Day for many families, the shooter went into the school, armed and ready, and killed 17 people and wounded many others. People wondered why there was no preparation for handling this kind of event . . . Where was the police response? Uh, outside the door of the school for four of six minutes it took place. Immediately the news tore into this event and put blame where they felt blame was due . . . It was President Trump’s fault. Even though he immediately expressed his anger and offered condolences to the families involved, the news still felt it was President Trump’s fault. Next to come under fire was the NRA. Where was the membership of the NRA at that time and place? Nowhere. There has never been a member of NRA involved in any such incident. They advocate training, responsibility, and consider the Second Amendment to still be a constitutional right. Having determined, by the sane minds among us that a lot of blame goes to the FBI and the police department, the liberal faction and their minions are promoting student protests and demeaning the President and encouraging companies to boycott the NRA – who wasn’t even present at the horrific event. In order to cement the uproar over school shooting and insure success in insulting President Trump and trying to outlaw the NRA, CNN has news reports that are easily exposed as untruths and several people invited to their meetings and that the questions they wanted to present were dropped by CNN in favor of scripted ones that will push their agenda. The following are the wishy-washy companies that can’t stand up for their own values and chose to go with the left’s viewpoint to punish businesses. Given the weakness of the companies, I’m certainly making sure I don’t support any of them in the future. First National Bank of Omaha: The bank announced that it would not renew a co-branded Visa credit-card with the NRA. The Hertz Corp.: The rental car company ended its discount program for NRA members. Enterprise Holdings Inc.: The car rental company that also owns Alamo and National cut off discounts for NRA members. Symantec Corp.: The software company that makes Norton Antivirus technology ended its discount program with the NRA. Chubb Ltd.: The insurer announced it was ending participation in the NRA’s gun-owner insurance program, though it provided notice three months ago. Best Western: The hotel chain told multiple social media users that it was no longer affiliated with the NRA, though it did not say when that decision was made. Wyndham Hotels: The hotel chain told social media users it is no longer affiliated with the NRA without specifying when that decision was made. Meanwhile, I’m wondering about the blame being heaped on the President regarding the latest school shooting. What about the weekly bloodbaths in the strictly gun controlled Chicago? Perhaps, the mayor there should be held accountable . . . the governor of the State of Illinois. Another thought is why the evil and bad of the gun world is always reported in ‘big print’ when there are probably many cases where someone having a registered weapon saved lives. 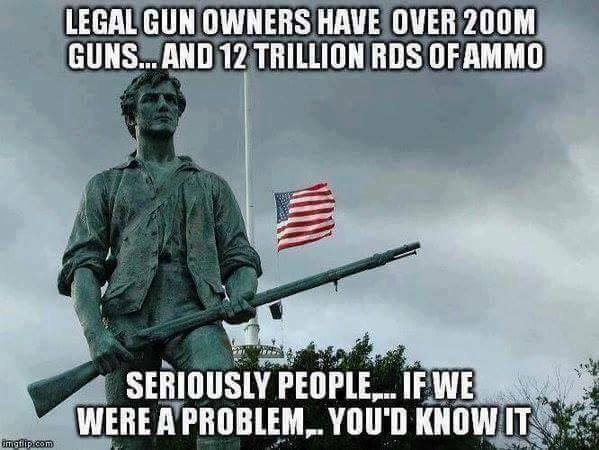 And, if gun control would solve the problem, would all the liberals that have an entourage of armed security be willing to disarm them, too? Would they continue to need their gated communities? Freedom to Bear Arms Blighted . . .